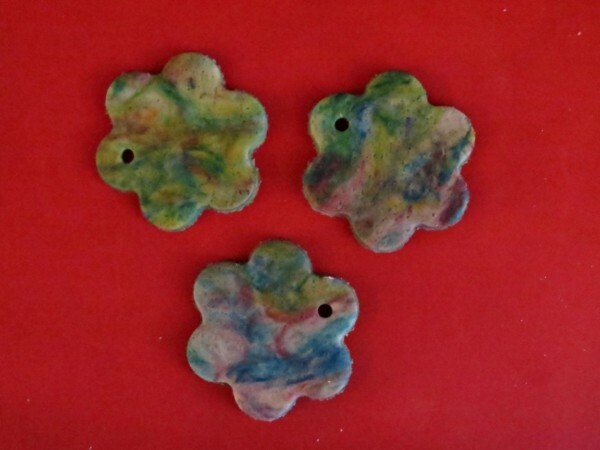 This homemade simple dough can be used to make a variety of things. 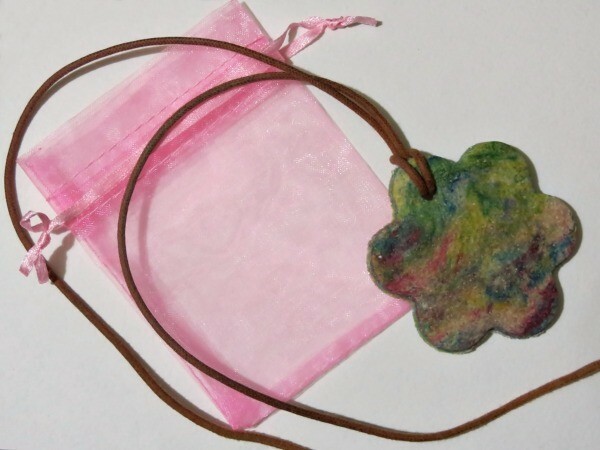 This guide contains crafts using salt dough. I wanted some simple, small decorations for Halloween and fall. 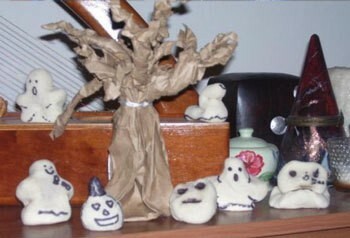 I had read an idea in a magazine about making these little salt dough ghosts, so I tried it out. Granted, it didn't look as good as in the magazine, but it provided my 6 year old son and I with something to do for about a half hour and some decorations that (hopefully) can be used again after this year. Mix together and separate into 6 parts. Form into ghosts (or anything else you think is appropriate). Microwave for 30 seconds at a time until firm. Let cool. Draw on faces or accents with permanent marker. I also came up with a cute idea for a little garland - I just found freely available coloring pages of leaves, printed out multiple leaves on each page, colored them, and strung them along some rope that I had for bead stringing. It was another great thing for my son and I to do together. I know these aren't very grand, but it makes me happy to have home made decorations in my home, and to know I really didn't spend a cent to do it. 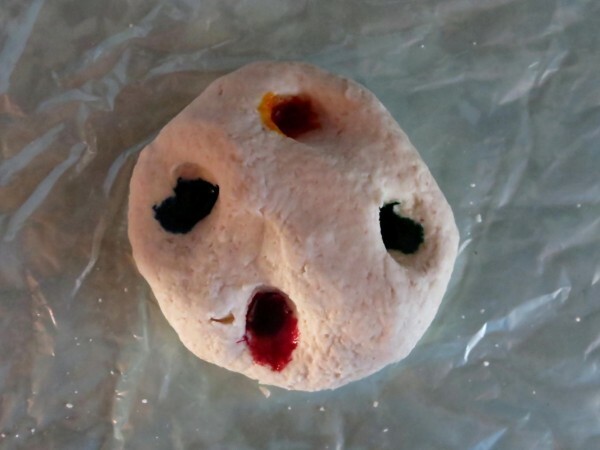 Salt dough is a medium that inspires creativity for young and old alike. 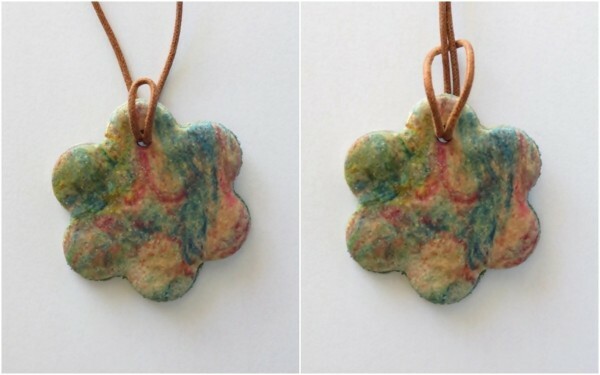 Use salt dough and food coloring to make a colorful pendant. Use it as a thrifty stocking filler, or wear it with your favorite T-shirt and make your friends go green with envy when they see your creative accessory. Mix the flour, water, and salt together in a bowl. Tip: The dough should not have a sticky consistency. If it sticks to the cookie cutter add a little more flour and mix thoroughly again. Place the dough on a flat surface. Tip: To protect the food coloring from staining the surface, place a plastic bag under the dough. 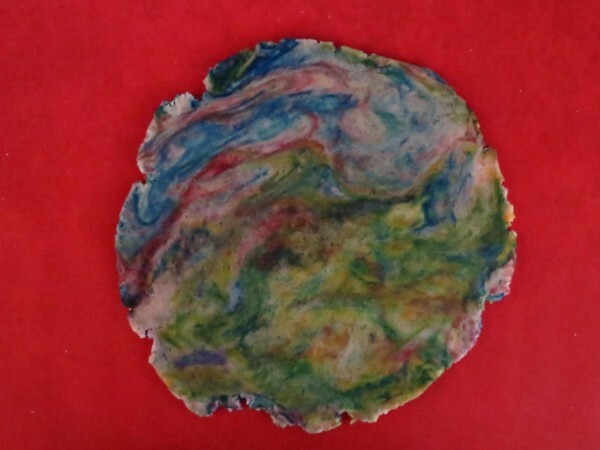 Add a drop of each color of the food coloring to a ¼ of the dough. Knead the dough so that the colors will mix. Place the silicone baking sheet on the baking tray. Roll the dough out directly on the baking sheet to a thickness of 0.15" and cut out the flower with the cookie cutter. Remove excess dough and use the straw to make a hole in one of the flower petals. Bake at 150º Celsius (300º Fahrenheit) for one hour. Allow to cool thoroughly, and then spray the front of the flower with the varnish. Allow to dry before turning it over and spraying the back. Remember to work in a well-ventilated area when using the varnish. Fold the wax cord in half to make a loop and push the loop from the bottom upwards through the hole in the flower. Push the two ends of the cord through the loop and pull it tight, so that the cord will fit snugly to the top of the flower. Several years ago I made a beautiful turkey centerpiece out of salt dough. Unfortunately, I cannot find the instructions. I remember that the dough was rolled out then cut with a pizza cutter into strips. The dough strips were then placed over an inverted glass mixing bowl forming "loops" to create the tail. The rest of the turkey was just formed out of the dough and then baked to harden. Once hardened, you placed a block of foam behind the tail loops into which you inserted real feathers or dried flowers, etc. I would be overjoyed if anyone has the instructions for this project. I have the salt dough recipe, just need the instructions. I have several recipes for salt dough that I use with pre-schoolers. Most of them can be found at http://www.familyfun.com They have MANY craft ideas and recipes for that kind of thing. Hope you can find it there. If not, you may be able to if you do a search for "salt dough". 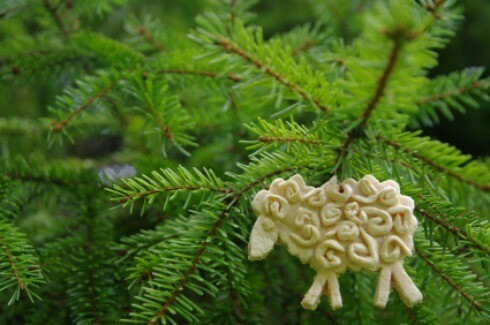 What are the pros and cons of using salt dough in making craft projects? It's been my experience the biggest con of using salt dough is that any humidity in the air will cause the sculpture to grab that moisture and go soggy-mushy-mouldy. If you can get the sculpture completely dry (hard to do even in an oven on low for hours) and then completely sealed with a varnish or other sealer like polyurethane, you may not have that problem of soggy-mouldy items. I need suggestions on what else to make out of "dough" my grandson and I used for Christmas decorations. And are there a variations of dough recipes? Thanks.